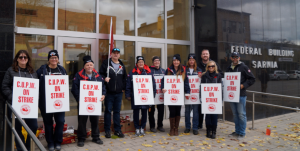 Postal workers set up picket lines at Sarnia’s federal building Tuesday as rotating strikes hit the city. Members of Local 598 of the Canadian Union of Postal Workers (CUPW) walked out at midnight. President Kathleen Fowler said workers continue to fight for a fair contract. 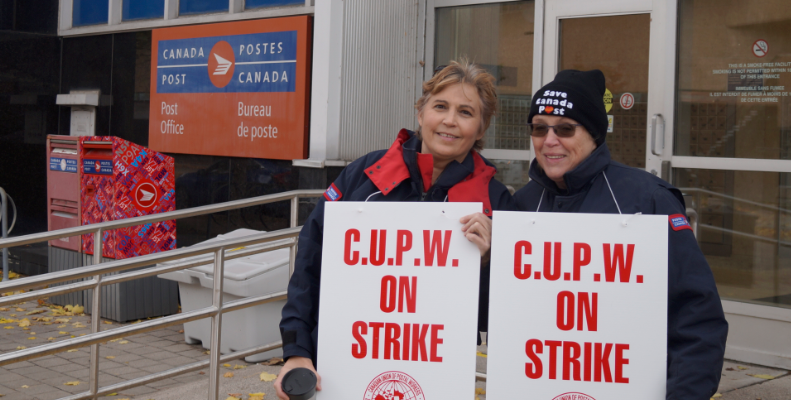 Canada Post workers on strike in Sarnia. Fowler said the rotating walkout was expected to last until midnight Tuesday. Canada Post says the rotating strikes, now in their third week, have shut down operations in more than 70 communities across the country. The Crown corporation says the walkouts are causing backlogs that could delay mail delivery to its customers for several days.